Love Jason, Please don't cry. "And a little child shall lead them." 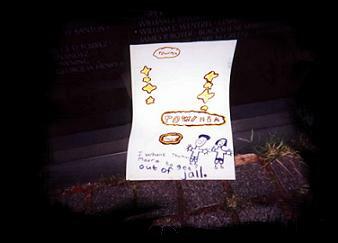 A letter signed "Love Susan"
Held great big hearts in red. Escaping a jungle, through gold stars. Then wrote "Oh please get free". 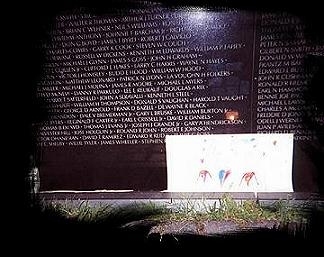 Left hope, at THE WALL that night. 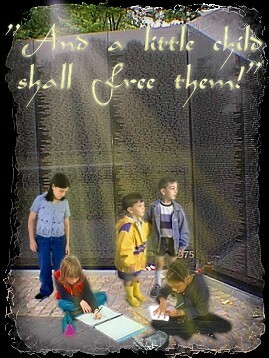 "Kids at Wall" graphic created by Joanna, inspired by request from Marsha and her webmaster. 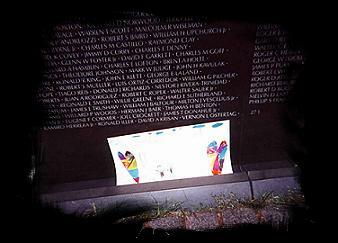 Copyright© 2000, Marsha Burks Megehee, not for public use; all rights reserved.